Nike expands its M2K Tekno selection with a brand new colorway. Today, the reworked Monarch silhouette is dressed in “Racer Blue.” The multilayered upper incorporates a mix of suede and mesh that’s dominated in the aforementioned shade. Moving down towards its support is a thick sail midsole with contrasting black accents found on the toe and heel, complementing the upper’s darker shades of blue in the same areas. Lastly, Nike Swoosh insignias top off the retro model on each lateral and medial side along with a mini-Swoosh towards each heel counter. 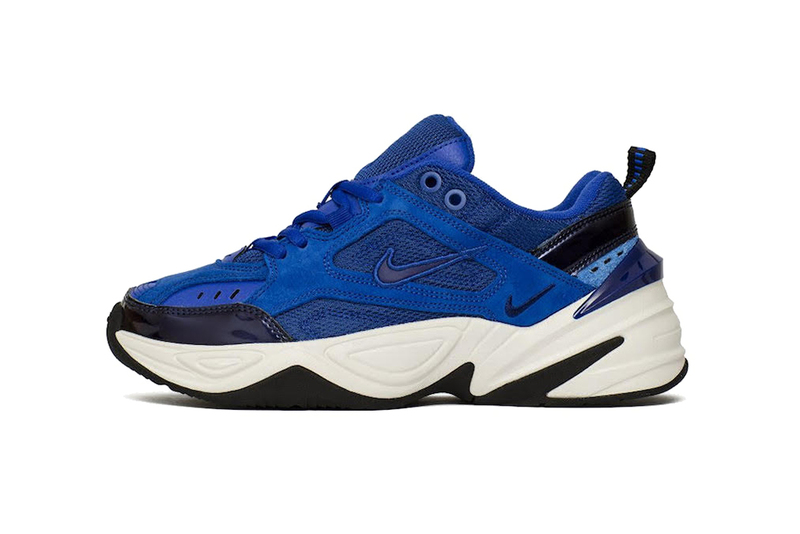 The Nike M2K Tekno “Racer Blue” is currently available at nike.com, and at select Nike Sportswear retailers like Chmielna20 and size? for approximately $120 USD. NSW enthusiasts can also take a closer look at the first bunch of Air Max 720 releases. Nike M2K Tekno Steps Out in "Gunsmoke/University Red"
Nike M2K Tekno Gets Dressed in Striking "Laser Fuchsia"
Put together by award-winning director Colin Tilley.